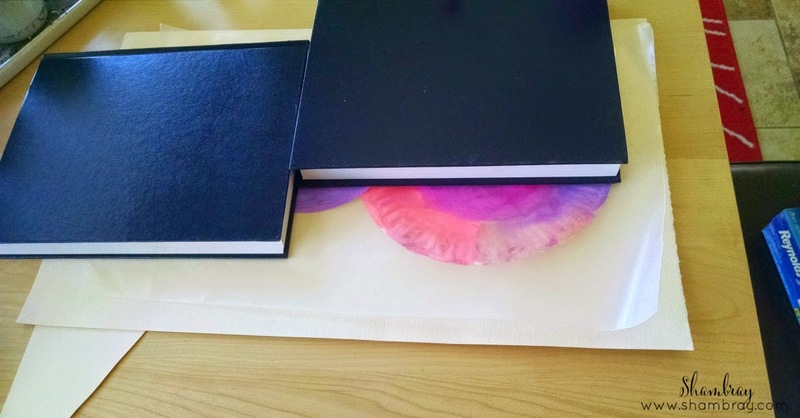 Paper (white for the footprints and colored for whatever color of whiskers you want). Fun Handprint Art used pipe cleaners for the whiskers which would be really cute if you have them on hand. The very first thing we did was the footprints. I wanted these to dry while Hannelore painted the head and body. My little clean child did NOT like putting paint on her feet. 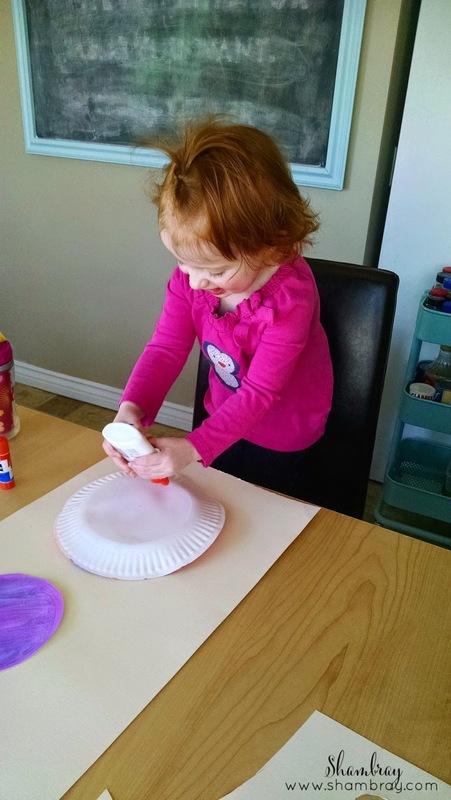 If you have a child like this or if you do not trust your children with paint then see this post on Fun Handprint Art. 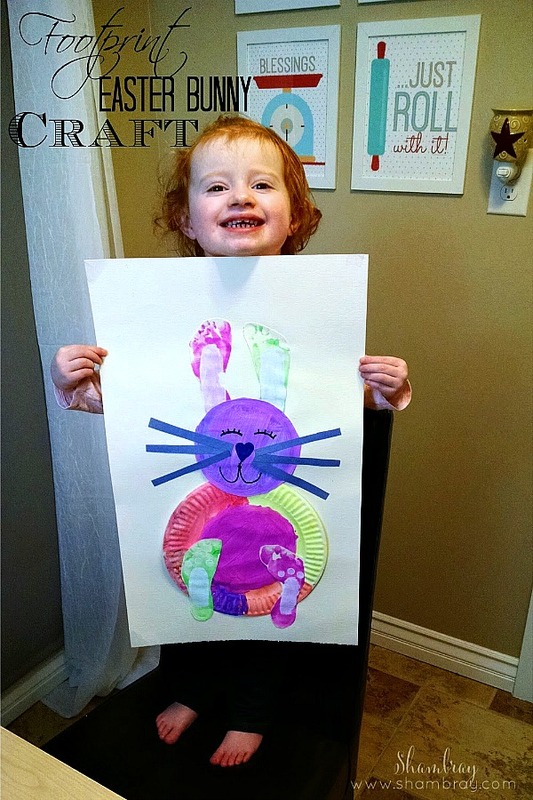 There are many different Easter Crafts that do not require paint or you can just do a fingerprint. 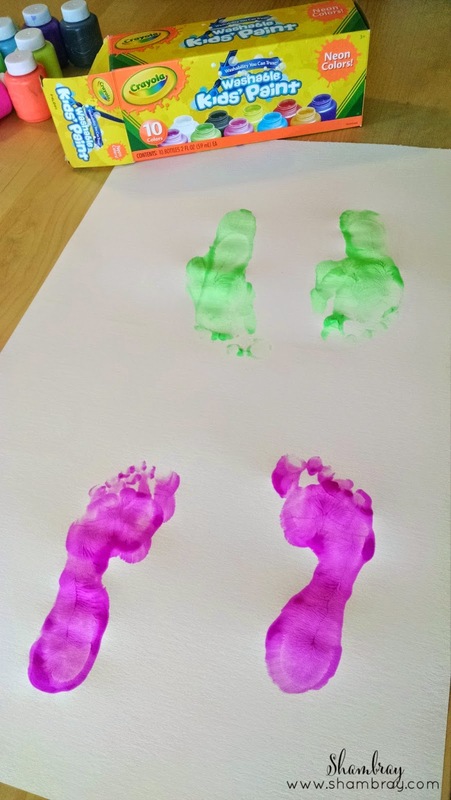 Hannelore liked seeing her footprints in the end, but during the process she was a mess. 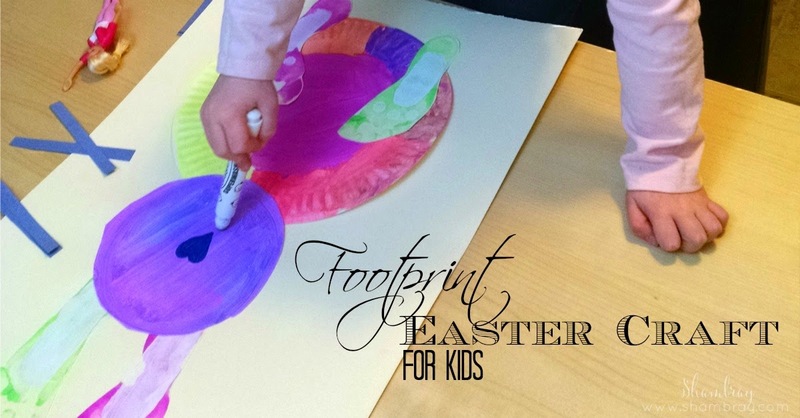 While the footprints dried Hannelore painted the bunny's head and body. 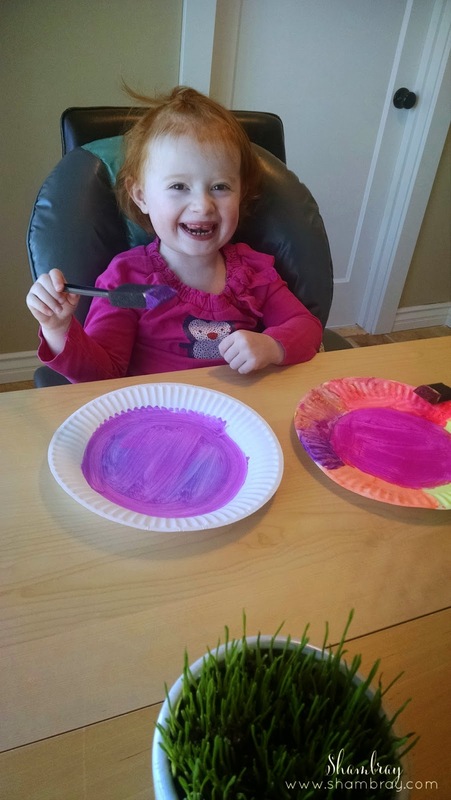 She could not pick just one color so she went for all of them. 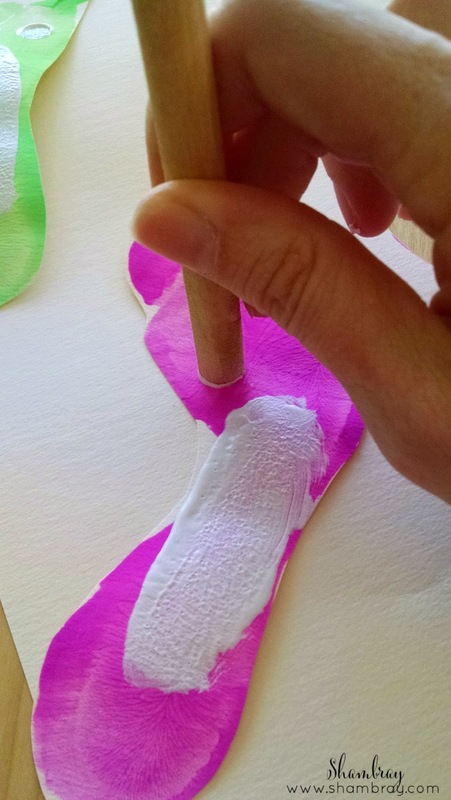 Once the footprints are dry paint a white oval shape on each of the footprints. On the two that will be the bunny's feet I did the 3 circles with the end of my foam brush handle. Once everything is dry then glue down the plates and the footprints in place. For "head" plate make sure to cut the "rim" of the plate off. That way it is smaller than the body. Nothing was wanting to stay down for us. So I placed a piece of wax paper over the bunny and placed some heavy books on it to apply pressure for awhile until the glue dried. Once everything is dry and glued down then it is time to make the face. 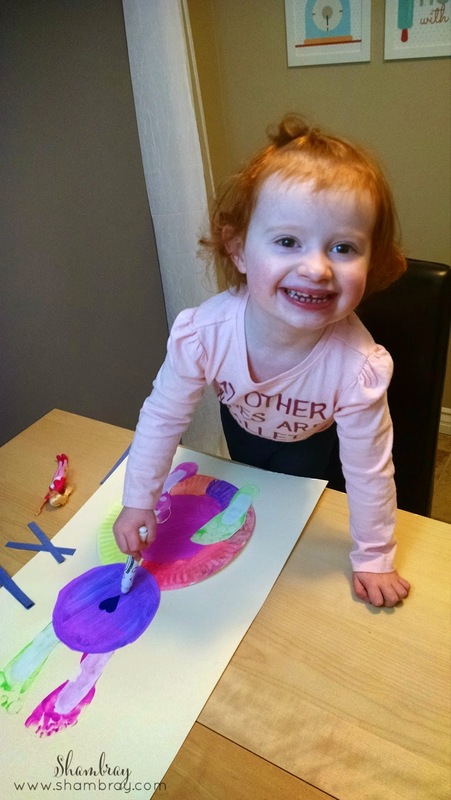 This was Hannelore's favorite part because it actually started to look like a bunny. Draw on the eyes, nose, and mouth with markers. Then the whiskers are strips of paper glued into place. This was a fun project to do together. She has it now proudly hanging on the fridge.